We may have just entered summer, but the Royal Botanical Gardens in Melbourne has just announced a sharp-looking concert series for spring 2017. 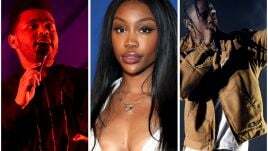 It’s called A Weekend In The Gardens, and will feature a bunch of Aussie veterans alongside some of the hottest acts going around at the moment. 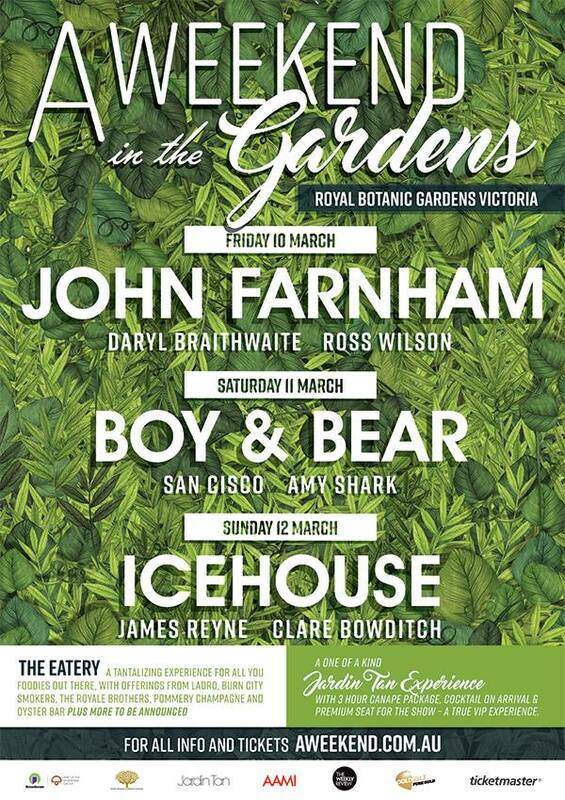 Created by the team behind A Day On The Green, A Weekend In The Gardens 2017 will take place over three days in March, and is set to feature a lineup including John Farnham, Daryl Braithwaite, Boy & Bear, San Cisco, Ice House and more. The first evening will see Farnsy take centre stage, with Daryl ‘Horses’ Braithwaite and Ross Wilson also set to perform. Get down to the gardens on the Saturday and you can catch Amy ‘Adore You’ Shark, San Cisco and Boy & Bear all performing sets. The final evening of the series will see Aussie legends Icehouse put on a show, while veterans James Reyne and Clare Bowditch will also perform. Prepped and ready to fill the bellies of punters, The Eatery will bring together some of Melbourne’s best food trucks and restaurants together for A Weekend In The Gardens. Pre-sale tickets go on sale Tuesday, 6th December at 2pm, while you can nab general tickets from 10am Friday, 9th December. Catch all the dates and lineup details, below.